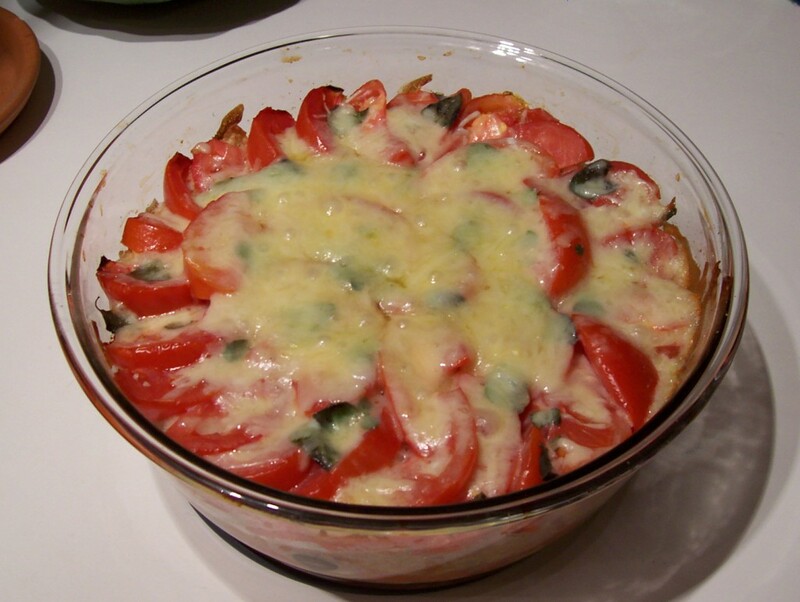 I started baby-sitting at the age of twelve or thirteen when one of my neighbors asked if I would like to watch her children for a couple of hours one day.Â It was at my neighbor’s house that I was introduced to this simple and delicious casserole, which I soon started making with the tomatoes from my parents’ garden.Â To this day it is a family favorite, and it’s a great way to make use of stale bread and/or a surplus of tomatoes. 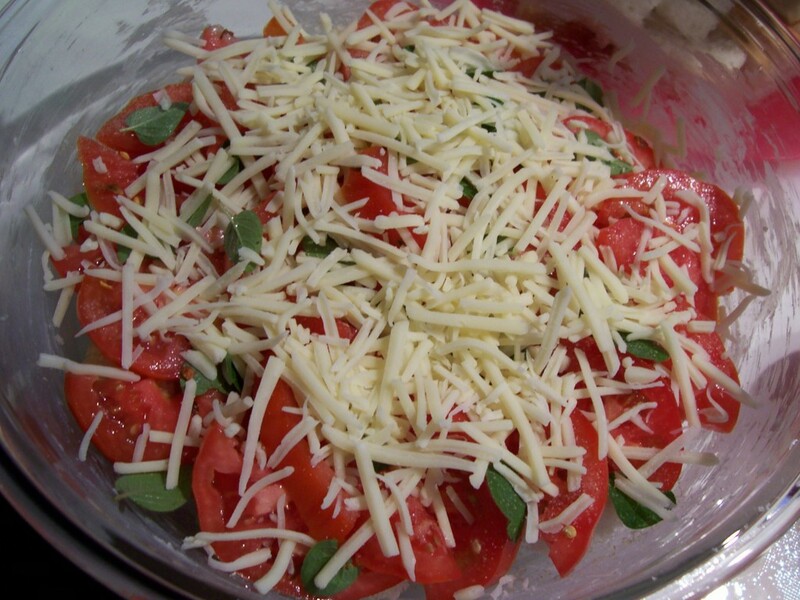 The ingredients are simple: tomatoes, 8 oz. shredded extra sharp cheddar cheese, bread, eggs, and milk.Â Optional ingredients can include fresh herbs and/or jalapeno pepper rings.Â Simply cube the bread, or tear it into small pieces and set aside.Â I used about 2/3 of a loaf of homemade white bread that was given to me by a relative.Â Wash and slice the tomatoes and herbs.Â I used fresh oregano from my garden.Â Then butter the bottom and sides of a glass casserole dish, and begin layering ingredients: bread, tomatoes and herbs, cheese and repeat until the casserole dish is full. The next step is to beat two eggs with about 1/2 c of milk and pour this mixture over the contents of the casserole dish.Â Bake at 350 degrees for about 45 minutes.Â Then add a little more cheese over the top of the casserole and bake just long enough to melt or lightly brown the cheese.Â The end results are similar in texture to a bread pudding, with the flavor of a pizza. 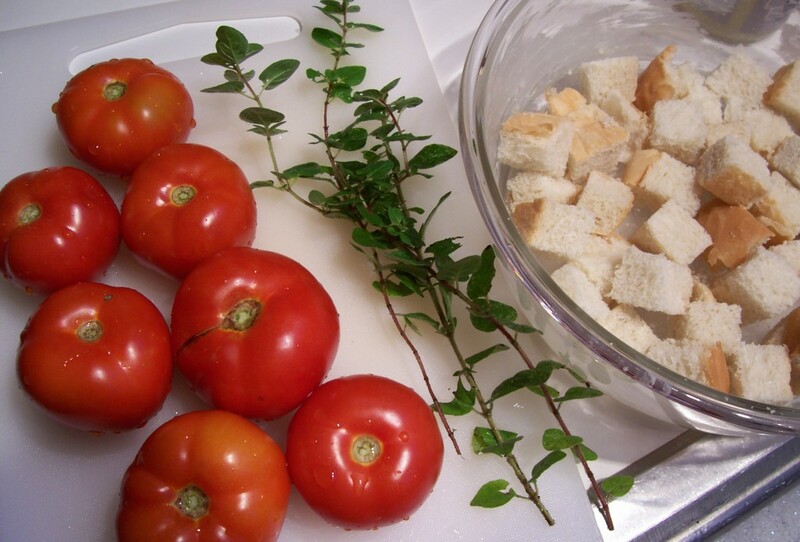 This entry was posted in Casseroles, From the Garden and tagged recipe, Tomato Casserole. Bookmark the permalink.